As 2017 marches on it was another busy week for members. 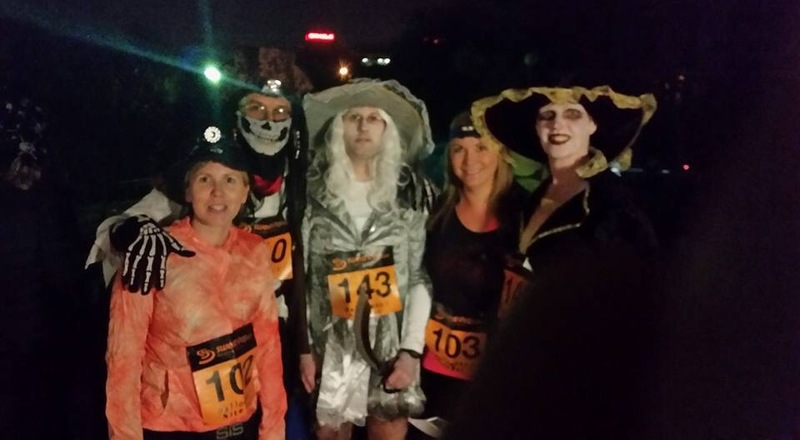 The final evening of October saw the Halloween Night Run 5k at the Thames Valley Park in Reading. Kirsten Johnson, Matt Johnson, Patrick Wadsworth, Hannah Glaister and Sam Pittick all got into the spooky spirit of the run. 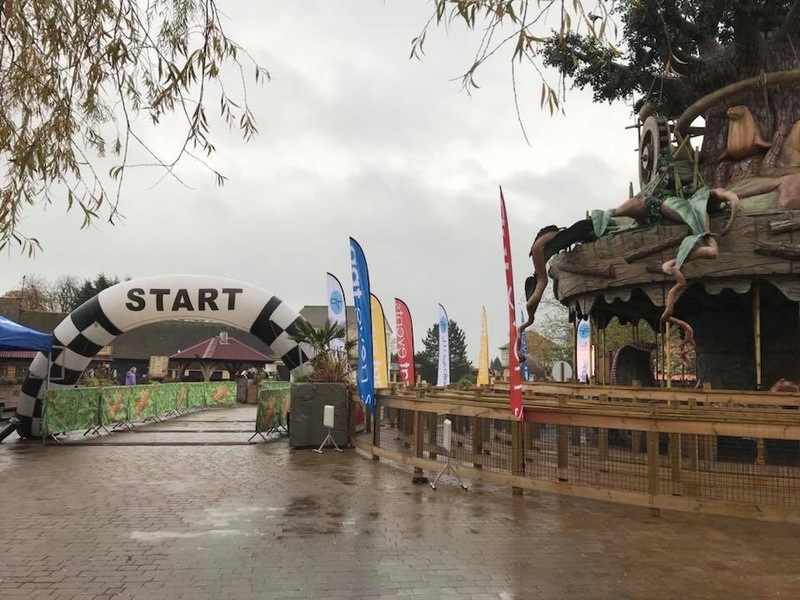 Leon’s Quest continued as he tackled two big runs this week at the Halloween Marathon and the Vegan Ultra, both Saxons, Vikings and Normans events. Saturday morning dawned wet but it didn’t deter Nigel Evans at the Chessington 10k as he finished in 49:47. Meanwhile Lisa Hale tackled the Thames Meander. As the rain started to clear the Sandhurst Joggers ‘Running Weekend’ kicked off with a fun off road run through the woods followed by breakfast. Next up were talks on resistance / bodyweight training to help prevent injuries and then advice from a sports therapist on injury recovery and the running gait. Bingo Intervals around the Memorial Park trained fitness and how to handle disappointment before lunch and more educational sessions in the afternoon. The day was wrapped up with a great social evening. Another great run kicked off the Sunday activities followed by a fantastic talk by Louise Small and then a lunch finale. Mustn’t forget Parkrun! At Frimley Lodge ten Sandhurst Joggers completed the five kilometers with Neil Praine finishing first SJ as posted his fastest at the venue with a rapid 19:25. Twelve SJs took to Parkrun Bracknell with Patrick Wadsworth fastest for the club. ophie Le Saux claimed a new PB with 28:25 as she gets faster and faster. Blanche Barnes and Wilsey Mockett also bagged PBs with 29:51 and 31:43 respectively. Well done everyone! No members in action at Rushmoor this week. Onto the Tourism. Lisa Hale warmed up for the Thames Meander with Kingston Parkrun. Sharon Conquer ran at Northampton and Kevin Forster at Gibside, near Gateshead. Kerstin Johnson fancied a new PB so headed for Marlow and the Marlow 7 where she successful claimed that new best in her first attempt at the distance. Glorious sunshine greeted Chris Szabo-Hemmings and Stuart Overhill for the Regis 10 miler in Bognor Regis reaching the finish line in 1:46:08 and 1:12:51 respectively. Tuesday: As it’s the first Tuesday of the month the Tuesday run will start at the Morgan Rec in Crowthorne. 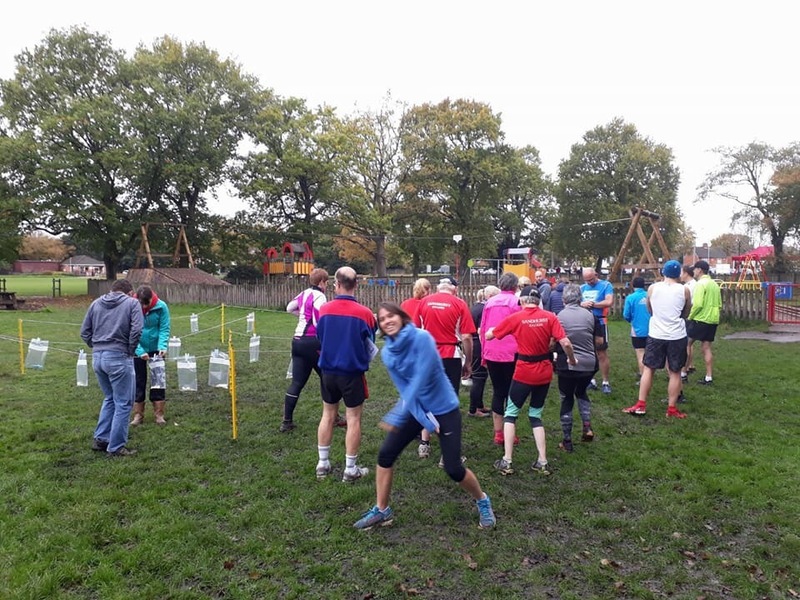 Mike, Monica and the other run leaders will be leading multiple groups to cater for all abilities from beginners through to faster and more experienced runners. It’s perfect for novices and those coming back from injury or a long lay-off because you can start with an easy group and work your way upwards. The venue may be different but the start time is 6:30pm as always. Later the interval sessions will meet at The TYTHINGS in Yateley at 8pm. Wednesday: It’s the second Wednesday of the month so time for the Handicap for members to track their fitness progress and establish a benchmark. This four mile run over a two lap course around Crowthorne is ideal for all abilities and starts from the Morgan Rec in Crowthorne at 7:30pm. It’s still tight in the annual competition but with only two 2017 runs remaining don’t miss out on a chance to score points! All members are welcome at the post run curry at The Raj in Sandhurst. Thursday: This week the threshold/improvers run will be on the the Crawley Ridge route. Meet at Sandhurst Sports Centre at 7:30pm and don’t forget lights and high vis clothing. XC is suitable for all abilities and it is a great club event with everybody contributing to the Club’s overall result. The course is at Dachet. Some people meet in the public car-park behind Sandhurst Library at 9:00ish am to car-share and/or drive in convoy to the venue, keep an eye on Facebook for details. The race starts at 11am so arrive with enough time to park, get to the start, register with Claire and warm up. The course is flat and grassy but can be muddy following rain. The course is suitable for spikes. Remember that you must wear club kit to score for the club. As well as tea and cake after the race many members will head for a drink at a local pub (details tbc). On Thursday 16 November 2017 (that’s next week not this week), Louise Small, GB Athlete and just general all round lovely person, has offered to show us some warm up drills and conditioning exercises that she does before every run. These exercises are suitable for everyone and will benefit your running by helping you to run with better form and warm your body up to help prevent injuries (something we could all benefit from during the winter). This is a huge opportunity to meet and work with a GB athlete on their journey to Tokyo 2020 and we’re honoured to welcome Louise to our Thursday run. As this is such a rare opportunity, we’d love as many of you as possible to join us to give Louise a huge SJ welcome and to show her what a great club vibe we have. Please let Nikki know if you would like the opportunity to lead one of the paced groups. If anyone would like to volunteer to lead a shorter run then a 10k route map is also available. To all those that said they would come to a Thursday if we had pacers, this is your moment! Don’t miss out – this really is a once in a running lifetime chance! For those that want to, we’ll also be going for a drink afterwards (pub TBC).